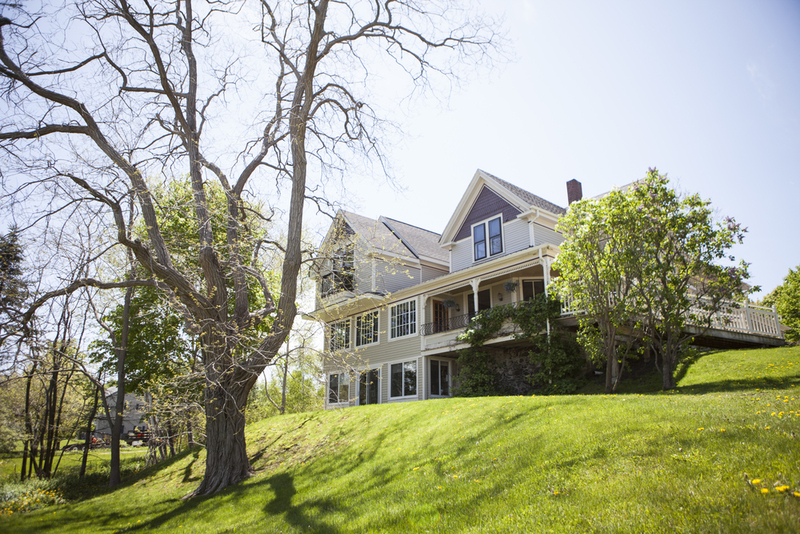 After 19 seasons, numerous awards, recognitions and two other locations, Primo -- in Rockland Maine -- has matured into what Chef Melissa Kelly calls a "Full Circle Kitchen..." the ultimate farm to table experience. What started with a garden, a few hens and a couple of pigs has now become an evolution of food; an endless pursuit to accomplish more. Primo is much more than a restaurant, it is about love and respect for food. It is also about creativity. Produce is grown and harvested here and the animals are raised on the property. Nothing is wasted – everything has its place. It is a continuous cycle that occurs throughout the restaurant with the kitchen, the animals and the gardens. The kitchen uses and savors every little piece. Seasonal to the moment, it is actually the farm and the garden that make the incredible ever-changing menu. With two greenhouses and acres of produce, each day's harvest includes: honey, fruits, veggies, eggs, edible flowers, micro-greens, fresh chicken and house cured and smoked meats. What is not grown at the restaurant comes from other local and sustainable farms that owner Chef Melissa Kelly is proud to support.